Every year brings more options for materials, finishes and ideas to bring into our bathrooms. 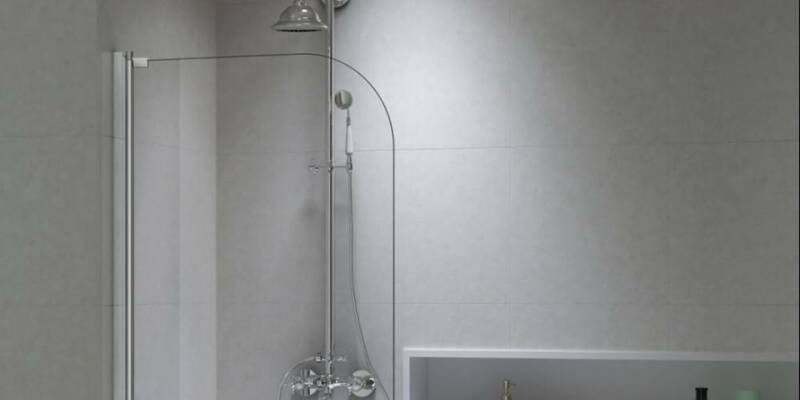 If you’re ready to try something new, or are currently working on a new home or bathroom renovation, consider one of the following shower door design trends. Last year, satin brass made its takeover of kitchens. This year, look out for matte black in bathrooms as well as kitchens. Homeowners looking for a statement-making look that’s contemporary and complements a variety of materials and styles are embracing this tough, versatile finish. You can upgrade any frameless shower with 10MM glass to black hardware and we offer a variety of other styles with matte black hardware too! Many still love their shower curtains, but partial glass dividers are coming on strong. Glass shower panels keep compact spaces airy and open, allowing a clear view to a statement shower tile or more natural light. These shower doors are a scene stealers - if your’e looking for a head turning addition to your bathroom, look no further. These shower doors work with a variety of styles and colors and have been gaining favor due to their industrial good looks. So! Those are our predictions on the shower door front for 2018. What do you think? Do you have any predictions of your own? Comment Below! Want to learn more? Get in touch with us by clicking here.